I’ll say one thing about adaptations of Nicholas Sparks novels, they are magnets for both up and coming stars, as well as attracting actors that have enjoyed long glittering careers. The Longest Ride falls into the first category as it stars Scott Eastwood (Suicide Squad, Pacific Rim: Uprising) and Britt Robertson (Tomorrowland, Girlboss). I’ll say another thing about Nicholas Sparks adaptations: regardless of the critical mauling each movie gets, they still have a huge fanbase. For all of you Sparks movie lovers, here is 10 movies like The Longest Ride. Not all of them will be Sparks adaptations because variety is the way to discover new favorites. 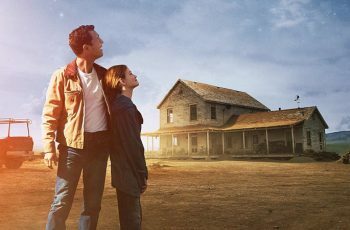 The adaptation that started off a nearly 20-year obsession in bringing Nicolas Sparks’ work to the big screen. Unlike the most recent adaptation, Message in a Bottle was made for a $80 million in 1999, with an embarrassing amount of star power in the form of Kevin Costner, Robin Wright, Robbie Coltrane, and even the mighty Paul Newman. The movie follows Wright as a researcher for the Chicago Tribune named Theresa Osborne. On vacation in Cape Cod Theresa finds a love letter stashed in a bottle addressed to a woman called Catherine. Through her ensuing investigation she comes across the man, played by Kevin Costner, who wrote the letter in the first place. The two begin a romantic relationship, but the figurative ghost of Catherine stands between them. Without the success of Message in a Bottle, the landscape of romantic cinema would look very different today. Here’s a question: whatever happened to Shane West? Sure, he’s been doing his rounds on genre television, but he hasn’t been seen in a high-profile movie since A Walk to Remember. Directed by Adam Shankman, who is best known for his remake of the musical Hairspray) A Walk to Remember follows West as he plays high school senior Landon Rollins Carter. Carter is a teenager who has become so jaded that he risks expulsion after a prank that has left one student injured. He’s given a choice to atone by helping other students with the school play. It’s here that he meets Jamie (Mandy Moore) who has known since Kindergarten, and the two begin to have feelings for each other. Like all movies like The Longest Ride, and indeed any Nicholas Spark’s adaptation, you should have a few tissues at the ready before watching A Walk to Remember. If Message in a Bottle kicked off the Hollywood obsession with Sparks’ creative output, The Notebook took it to the stratosphere. Any movies like, and including The Longest Ride have to reach the benchmark set by The Notebook’s popularity. Directed by Nick Cassavetes, The Notebook stars Ryan Gosling as Noah and Rachael McAdam’s as Allie as their on again off again romance is narrated by Noah as an old man played by James Garner. The Notebook has become an unlikely cult hit: I say unlikely because when I think of cult hits its usually Big Trouble in Little China, not a romantic epic that spawned the trend of James Marsden being constantly dumped in movies. Still, The Notebook has become a popular movie due to its epic love story, coupled with the fact that both Gosling and Adams have as much chemistry as needed to sell the soapier parts of the film. Richard Gere and Diane Lane, who appeared in Unfaithful and The Cotton Club, reunite for this romantic drama. Directed by George C Wolfe, Nights of Rodanthe sees Lane play Adrienne Willis, a woman who arrives in the titular town of Rodanthe as she retreats from her chaotic life that’s left her estranged from her ex-husband Jack after he left her for another woman. Once she arrives she manages a small inn over a weekend as a favor to a friend. Said inn only has one guest in the form of Richard Gere as Dr. Paul Flanner: who has his own personal demons to contend with. As a storm approaches, isolating them both further, sparks begin to fly between Adrienne and Paul. Nights of Rodanthe isn’t only proof that Diane Lane and Richard Gere still have the chemistry from their younger days, but that they can carry the more melodramatic moments of the movie with ease and poise that elevates the material. The first entry in movies like The Longest Ride not adapted from Nicholas Sparks is this intimate sci-fi drama co-written by Joss Whedon. Zoe Kazan and Michael Stahl-David as Rebecca and Dylan, two people with completely different lives who discover that they share a psychic connection with each other. Think Sense 8 but on a much smaller scale and you have In Your Eyes. Part of Rebecca and Dylan’s telepathic connection is that they can feel the others body, especially when they are hurt, and also when they’re aroused (Joss, you old dog!). With Whedon’s trademark humor (long before it ran out making Justice League) and director Brin Hill’s simple editing tricks to showcase the duo’s strengthening connection, In Your Eyes is a lot more than your typical independent sci-fi romance. Now, if Joss could leave superheroes alone for a while he could get back to making stories like this. John Green’s zeitgeist novel was bound to get an adaptation, and true to predictions, it was immensely popular. Directed by Josh Boone, The Fault in Our Stars follows Shailene Woodley as the terminally ill Hazel Grace Lancaster as her parents convince her to go to a support group for people diagnosed with cancer. At the support group she meets Augustus Waters, played by Baby Driver’s Ansel Egort, as they begin to fall in love with each other. Through their shared circumstances, and bonding through having names that only a writer would name his characters, the two have a sweet romance that has a very real time limit due to their illness. It would have been easy for Boone and his creative team to coast on an easy paycheck, The Fault in Our Stars is a solid movie that goes for the heart by humanizing sickness like Silver Linings Playbook did for mental health; two topics that don’t adhere to Hollywood standards of a happy ending. The first of our picks from classic cinema happens to be one of the most celebrated romantic movies of all time. Directed by the legendary filmmaker David Lean (Lawrence of Arabia, The Bridge Over the River Kwai) Brief Encounter is the story of forbidden love in England on the eve of the Second World War. Unlike Lean’s later work, Brief Encounter is relatively small scale, with no stars and few sets. The lack of the things, which in cinema are usually taken for granted, Lean produced a cinematic marvel in the story of two people, named Laura Jensen and Alec Harvey, that fall in love with each despite the fact that their romance can have no future. No building houses, no messages in a bottle, just secret meeting in a friend’s apartment and a chance meeting at the train station. Of all of the movies like The Longest Ride we’ve suggested up to this point, none of them have been true westerns. That all changes with one of the legendary director John Ford’s classic tales of the Old West. The Man Who Shot Liberty Valance, a film with a legacy that touches even Sparks’ work, follows an ambitious lawyer, played by James Stewart as he is robbed and beaten at gunpoint by a gang of thieves led by Lee Marvin. With a little patronizing help from John Wayne’s lawman (if he called me Pilgrim that much I’d swing for him too) Stewart learns the key differences of how things work in the West. It’s not al cowboys and gunfight, what with Vera Miles (Psycho, The Searchers) caught between of both Stewart and Wayne’s affections. While it’s not as soapy as The Longest Ride, it does share the love and respect for the West and its values, but with more shooting. Ok, this is a bit f a cheat since there are three movies, Before Sunrise, Before Sunset, and Before Midnight, that make up this story, but Richard Linklater’s trilogy of romance found, lost, found again, then maintained, is one of cinema’s most compelling love stories. The couple in question is Jesse and Celine, played by Ethan Hawke and Julie Delpy (both of whom co-wrote the screenplay with Linklater). It’s hard to say what the best movie of the trilogy is. When I was younger I would have gone for Before Sunrise due to the spontaneous romance that bloomed from Jesse and Celine’s first meeting. Since I’m older I would pick the third film, Before Midnight as it perfectly captures the hard work and occasional rough patches that help and hinder a long-term relationship. Richard Linklater may be best known for Boyhood, but it’s this trilogy that remains his masterpiece. After he became a heartthrob in Confessions of a Shopaholic, but before he wowed critics and a small but committed fan base as Will Graham in Hannibal, Hugh Dancy starred alongside Rose Byrne in this tender romantic drama. Dancy plays the titular Adam, who feels isolated due to suffering from Asperger’s syndrome as he looks to find a deeper connection with the people around him. This is where Rose Byrne comes in as Adam’s next-door neighbor. It will come as no surprise to Hannibal fans to discover that Dancy plays the role of Adam with care and sensitivity, and his unlikely connection to Byrne’s character make for an unorthodox onscreen romance that actually makes perfect sense. Both Dancy and Byrne would go onto better things, but Adam is a hidden gem waiting to be discovered, especially if you like movies like The Longest Ride.